Most attention focused on the Bosphorus talks about its role separating the east and west. The long stretch of water divides the exotic city of Istanbul into two continents, defining the land mass as either Asian or European. Many wars and battles took place in the Bosphorus as powerful rulers aimed to gain control of this strategically important strait. These days, it is more a tourist attraction than a battleground. Cruises along the Bosphorus pass several historic sites including castles and palaces that stand proud on the waterfront, surrounding the impressive yali houses from the last four centuries. 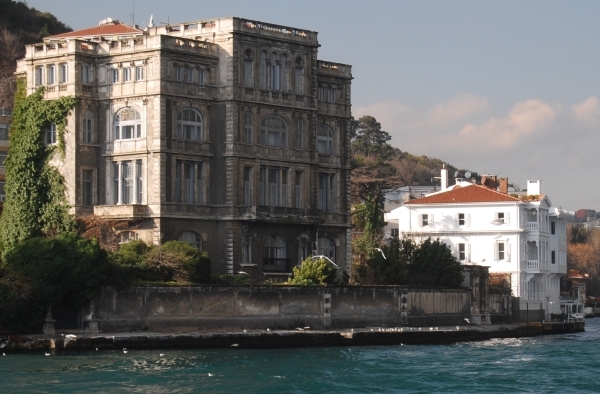 It is a waterfront mansion lining the Bosphorus. Traditionally built from wood, they were popular during the reign of the Ottoman Empire when rich owners used them a second home, especially for holidays. The present day yalis of the Bosphorus date from the 18th, 19th and 20th century, making them an important part of history in the area. No expense was spared in the construction and decoration of the yalis. 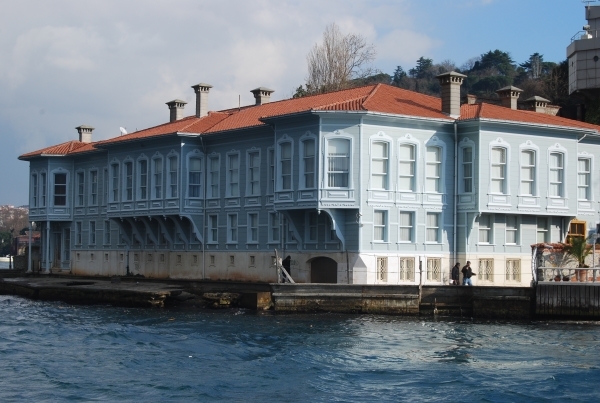 Windows typically had to be large and low so constant breezes would flow through the mansion while allowing a panoramic view of the Bosphorus. Furniture was handmade to specifications and the décor was a reflection of the family’s wealth and connections. Unfortunately, it would be easy to dismiss the oldest yali as an insignificant building and pass it by without a second thought. It has fallen into a state of disrepair and no longer holds the grand appearance that it once used to. Called the Koprulu Amcazade Huseyin Yalisi, it was built by Amcazade Köprülü Hüseyin Pasha in 1699. 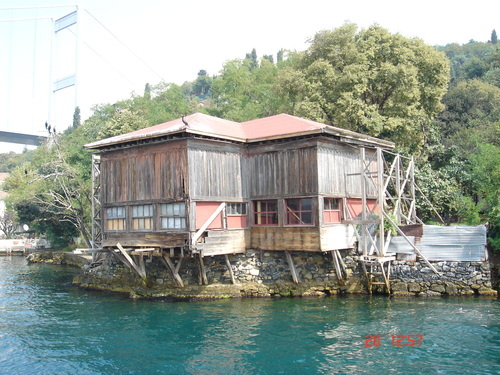 The façade is of rotting wood and a structure that looks like it could fall into the Bosphorus should strong winds circle around its perimeter. The most expensive yali has a bank breaking price tag of 100 million dollars. Listed by Forbes magazine as the fifth most expensive house in the world, the Erbilgin Yalısı has been extensively remodelled combining modern trends with traditional décor and antique furniture of which some dates from the time of construction, 127 years ago. The four-story house includes a private swimming pool and Turkish hamam but part of its extraordinary price tag might be because of the 22-carat gold used to decorate walls and ceilings. 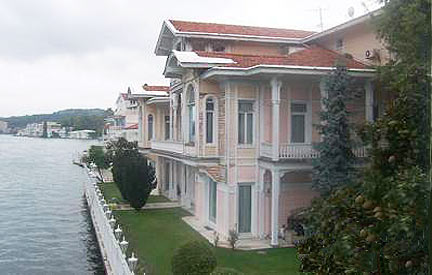 The Hekimbaşı Salih Efendi Yalısı features on most picture postcards of the Bosphorus. The large bridge towering to the left marks a shadow at certain times of the day and looms over the Yali, as if to play down its importance. It has kept most of its original architecture and furniture. 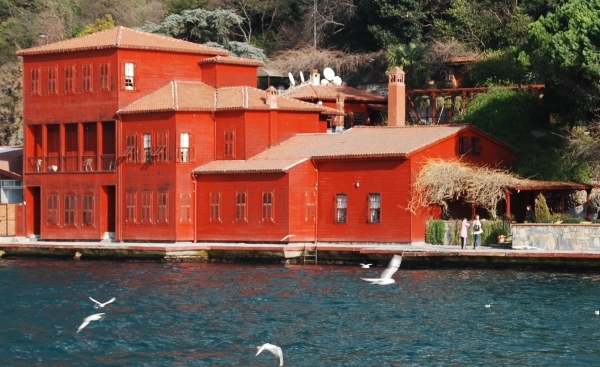 A physician of the Ottoman Empire called Salih Efendi built the privately owned property. He had a passion for gardening and it is said that in summer, the large garden was filled with blooming flowers. The Yali of Zeki Pasha was featured in the Turkish connoisseur’s magazine, Cornucopia. They called it one of the last great waterfront mansions. Constructed in the 19th century, it is immediately distinguishable from other yalis because of its castle like appearance. The baroque style mansion has five floors, two spiral staircases, twenty-three bedrooms, eight bathrooms, and a boathouse. The 32,000 square foot property recently went on sale for 115,000,000 million dollars. Most yalis are closed to the public, as they are private properties, although the garden of the Hekimbaşı Salih Efendi Yalı can occasionally be rented for special occasions. The Les Ottomans hotel is a former yali that has been renovated and now open to guests. You can explore the Yalis from your armchair through well-known author Saffet Emre, who has co-written a book about the Bosphorus with English author Pat Yale. They gained access to the most prominent yalis and they are featured in the book called “All about the Bosphorus”. 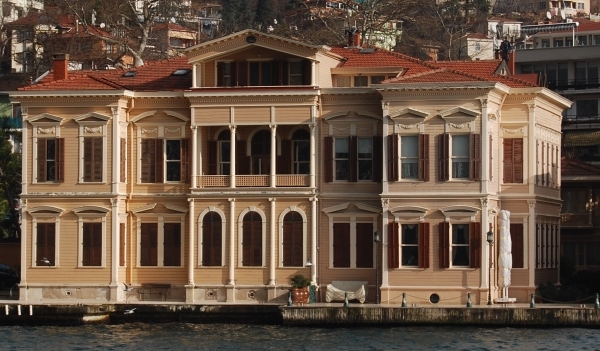 These magnificent mansions started life as an Ottoman trend but still maintain their sophisticated presence on the waterfront of the Bosphorus, the strait between east and west. 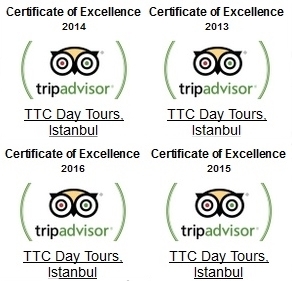 See Our Istanbul Tours Here : The Yali houses along the Bosphorus are just one of many attractions in the wonderful city of Istanbul. 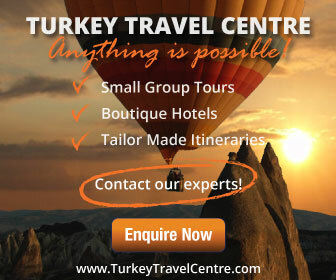 Whether you want to explore historical landmarks or delve into the cultural traditions, our tours provide experiences that you will remember for a lifetime.